Timeless music moves you either emotionally or physically. This spring, we am to explore music that moves both the spirit and the body. 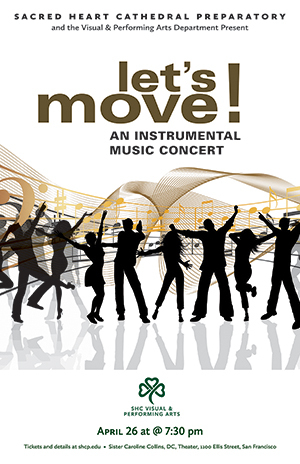 Come on out and let's move! Join the talented and diverse dancers of SHC as they present AS TIME GOES BY a reflection of small instances with large impacts. This years choreographers explore the personal, historical and pop culture inspired moments that have influenced their paths. 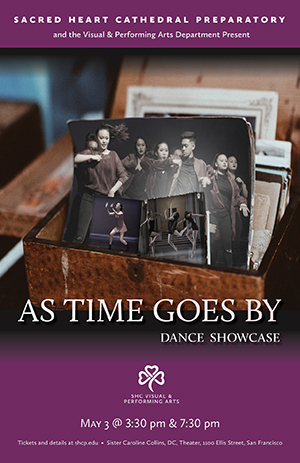 As Time Goes By will showcase SHC's Dance departments talented hip hop, ballet, contemporary and ethnic dance students as they take the stage for our annual performance. Directed by Ms. Laura Wexler, ASGB will take place on Friday, May 3, 2019. Matinee 3:30, Evening performance 7:30pm Approximate running time 1hr 30 min. Enter to Learn, Leave to Serve.